Small - $48.99 Medium - $48.99 Large - $48.99 Only 6 left! Belt is same fabric as robe, measures 2.5" by 60"
This silver robe will have any child looking particularly stylish. 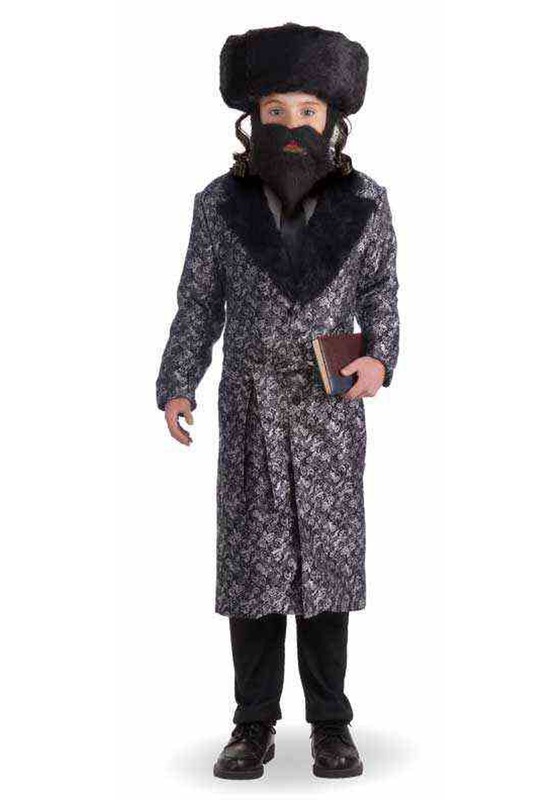 100 percent polyester, it's made with brocade and faux fur finishes. It secures with buttons at the center front. 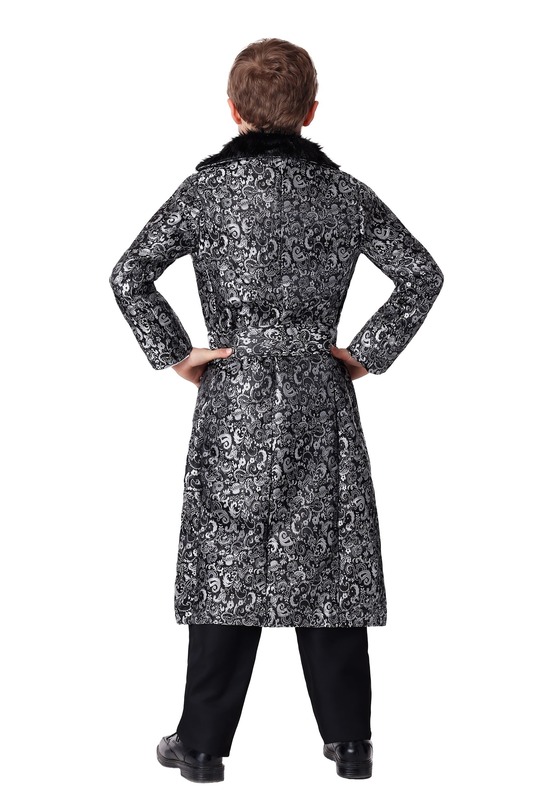 The printed silver brocade has a floral-inspired pattern, and the faux fur collar and lapels add the finishing touches. This costume comes with a matching belt to wear as desired. Pair this coat with a dress shirt and tie, and black slacks for a very sharp looking outfit. You can also match this costume up with one of our costume hats and facial hair props for a complete costume style.